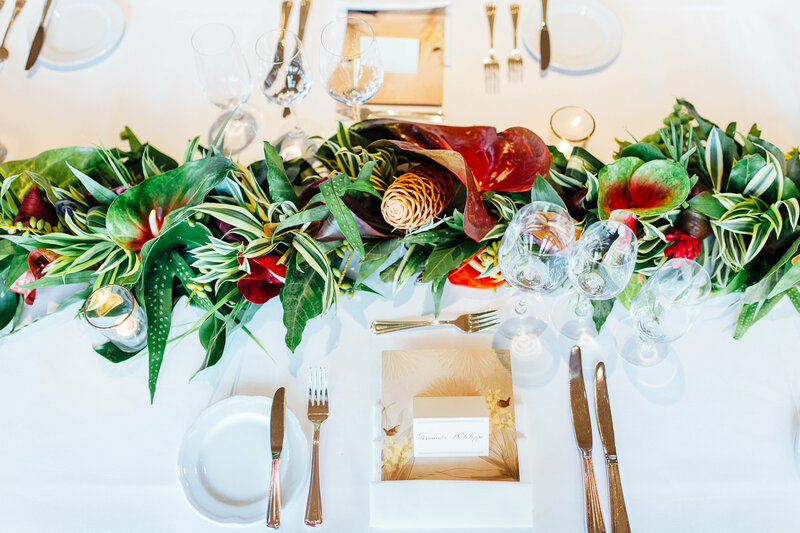 Love is in the air and chances are you or someone you know is planning their big day. 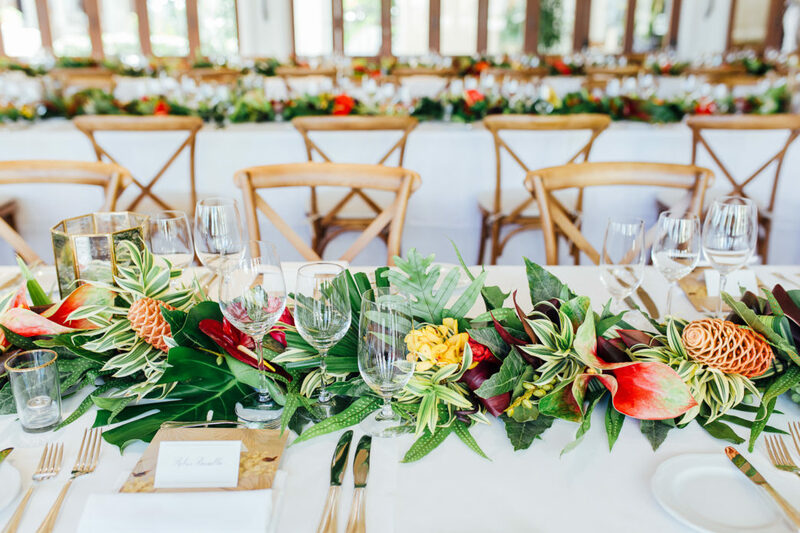 Whether your dream wedding in paradise is a romantic destination overlooking the sparkling ocean, amid lush botanical gardens, or a simple ceremony indoors, our Team will always find a way to make your wedding dreams come true. 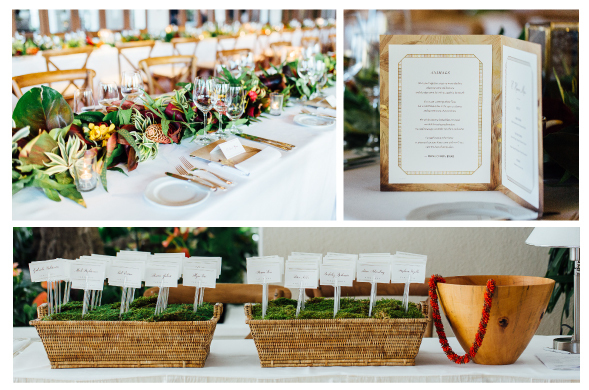 A perfect example of this is a recent destination wedding we planned for a couple out of New York. 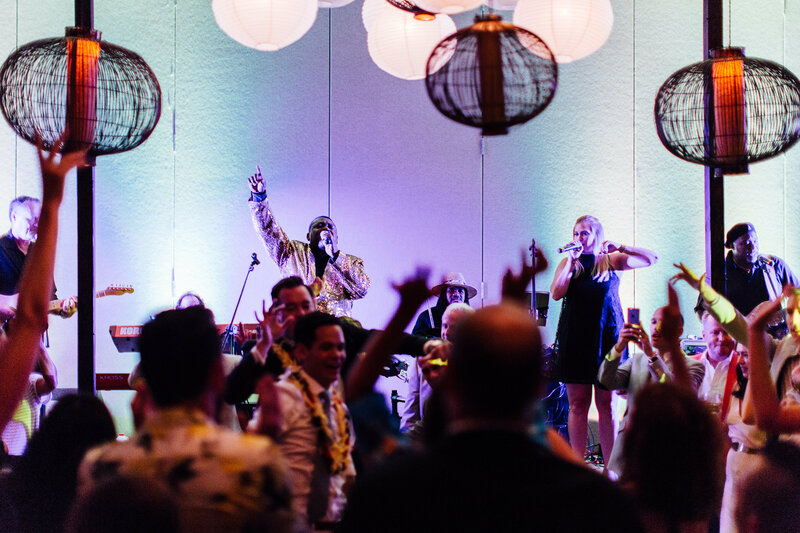 Jet setting from New York to Hawaii, our Client wanted a tropical outdoor wedding that incorporated special family heirlooms into the ceremony and reception. 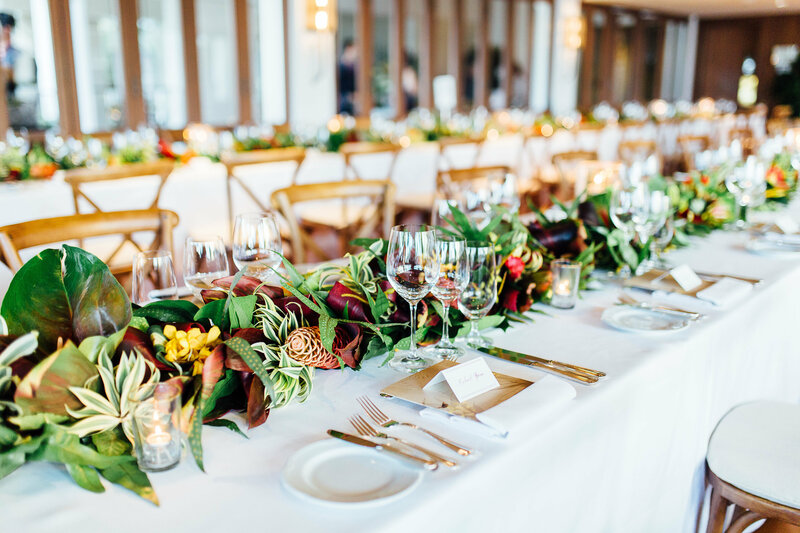 The altar featured a beautiful table that had special meaning to the couple, paired with stunning bronze columns and orchid floral arrangements on either side to create a simple and elegant look. 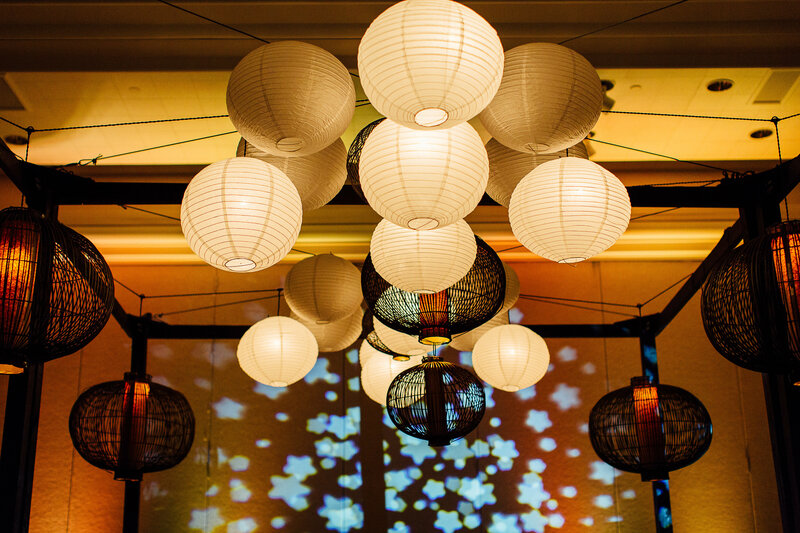 Following the ceremony, the after-party moved indoors but kept an oudoor feel with special design and decor. 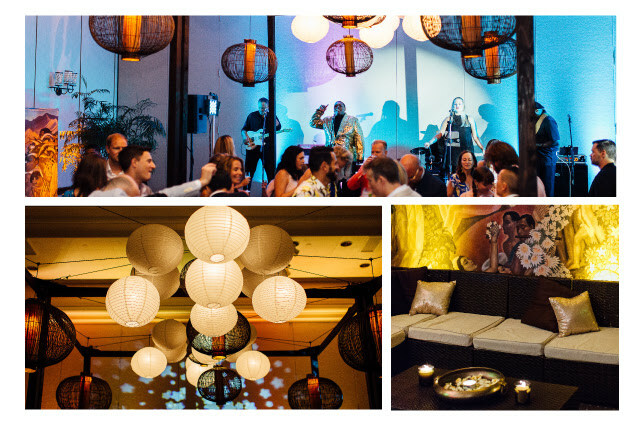 A mural provided by the newlywed couple was placed behind stylish wicker furniture to create the perfect backdrop for the outdoor-inspired lounge area. 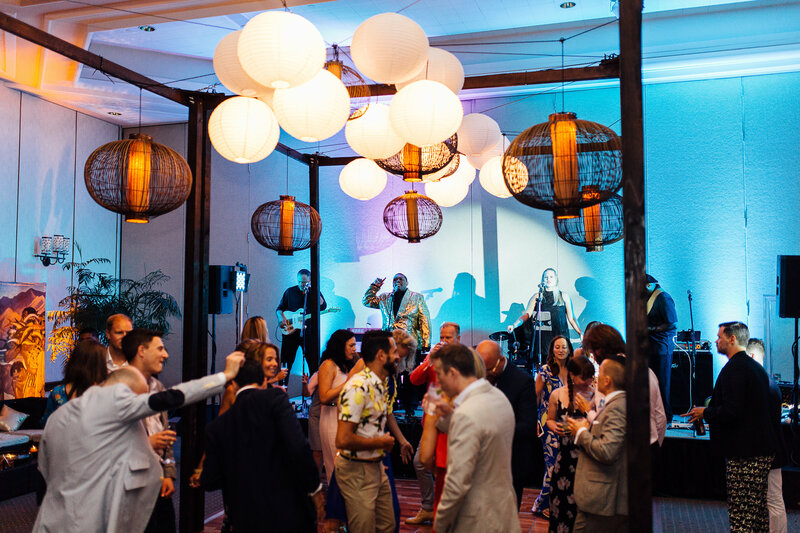 We also interspersed palm trees throughout the event space and created an eye-catching display of lanterns hanging from a cabana to make the evening truly shine.